You are here: Home / A-Blog / ‘You’ll Be Sorry’: Iran’s President Warns U.S. Against Ending Nuclear Deal. 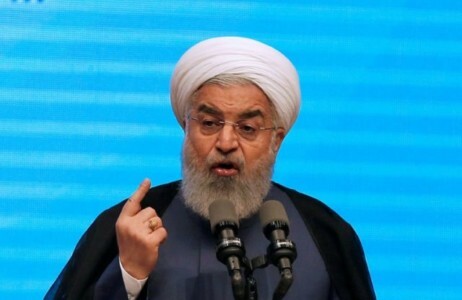 President Hassan Rouhani made the comments Sunday in the city of Sabzevar while on a tour of Iran’s Razavi Khorasan province. Rouhani also assured Iranians that “no change will occur in our lives next week” regardless of Trump’s decision. Trump faces a self-imposed May 12 deadline over the 2015 nuclear deal, which he long has criticized. Iran has faced economic trouble in recent weeks, with some analysts blaming the uncertainty surrounding the accord.